Due to unforeseen circumstances there is a change to the previously advertised lecture on 22 May. Members are invited to attend a visit to Stationers' Hall in April. Talk by Anthony Pincott on 28th February on 'The Fascination of Bookplates'. Details on the flier below. New Member Ties have arrived! 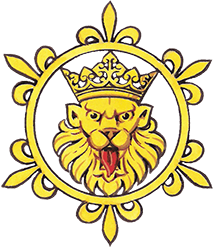 The 62nd AGM of The Heraldry Society will take place on Wednesday 17th October at The Society of Antiquaries.